Designing a website and designing a great website are two different things. 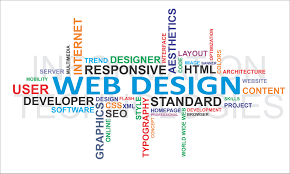 Indeed, in the age of step-by-step wizards and and WYSIWYG web designing tools, creating a website and going online is no more a daunting challenge. What is a daunting challenge, however, is making a great website. Great doesn’t necessarily mean just good looking with cool graphics and videos. It also doesn’t mean only great content. In reality, “great website” is a relative term. With the changing trend and more versatile tools at hand, web designing is looking at a new dimension in 2016.